When you say a place of relaxation, everyone dreams of something different. Most of us will think of sandy beaches, mountain chalets, meadows in blossom, and many other things. However, there is a common feature for all these destinations: the distance. Most places of an ideal relaxation are dozens or hundreds of kilometres away. Now you can also find a place for perfect relaxation right in the heart of Prague. 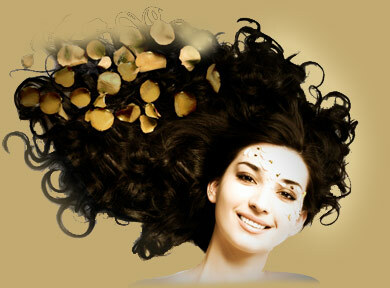 In our exclusive MARIE HAIR STUDIOS, you will find all your body and soul may long for. For your body, here is hair studio, cosmetics, manicure, nail modelling and pedicure. There is a hair stylist, a beautician, and a manicure and chiropody professional ready to serve you and your soul in a charming atmosphere. You will be cared of with the use of luxurious products that will cover your body and soul into beauty, scent and health. Come and relax, get away from stress and noise of the city. Come and enjoy your moment in MARIE HAIR STUDIO. What does Marie Hair Studios offer? The MARIE HAIR STUDIO only makes use of well-proven, quality and professional products for your hair, nail and skin care. There are professionals ready to help you in MARIA HAIR STUDIO, who are regularly trained to keep track with the latest trends and modern procedures. Our philosophy is based on individual approach and respect for the customer’s personality. We will always tailor our care to your personal needs. Your haircut or nail decoration will always have the style to underline your character and unique personality. Give it a try to see that MARIE HAIR STUDIO is different, better and yours. BioSolution s.r.o., Pod Klamovkou 1268/3, Prague 5 - Smíchov.